The Lomg awaited "DANZIG Sings ELVIS" Covers Record has now been scheduled for a Fall Release. Vampire Spaghetti-Western & DANZIG will Direct. Casting will begin shortly... Busy year for the Man!!. Tickets go On Sale this Friday at 10 am. Faithful DANZIG Fans & Verotkaholics an advance 'Sneek Peek' of a few scenes. "VEROTIKA" will be GLENN DANZIG's Feature Film Directorial Debut. 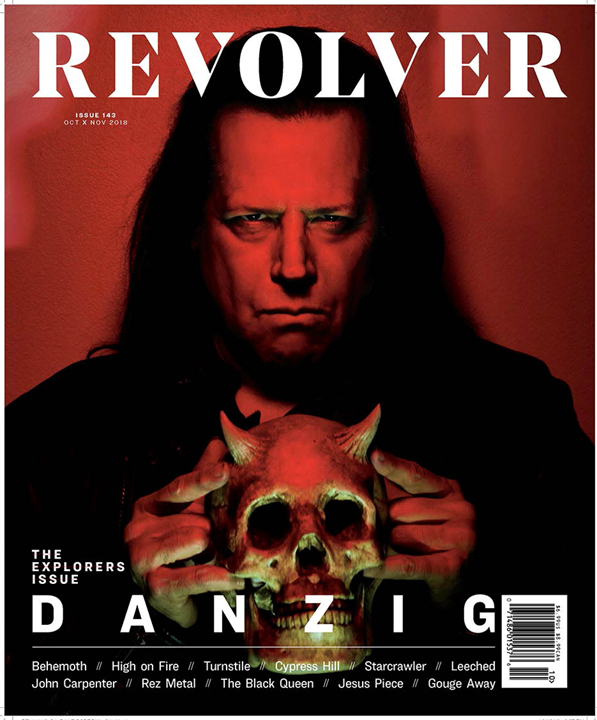 DANZIG will grace the Cover of the Latest issue of Revolver Mgazine which hits the Newstands. his upcoming Feature Film Directorial Debut, Black Laden Crown, OG Misfits Reunion & lots of other Topics. Do Not Miss this Issue and for more information go to the Revoler Magazine Website. compose the Musical Soundtrack for the Film. Production is scheduled to begin Fall 2018. Turning out to be an excellent 30 Year Anniversary for DANZIG. 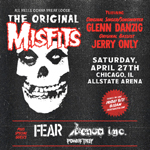 A Reno, Nevada Show has been added on Oct.28 to the DANZIG 30 Year Anniversary Special Live Dates for Halloween Week. Tickets are available starting Friday July 27th at Ticketmaster.. The DANZIG Shows in Koln & Wiesbaden GERMANY are SOLD OUT. Thanks to all our German Fans...Please get your Tickets early for the other remaining Live Dates!!! FOR IRVINE, CA. 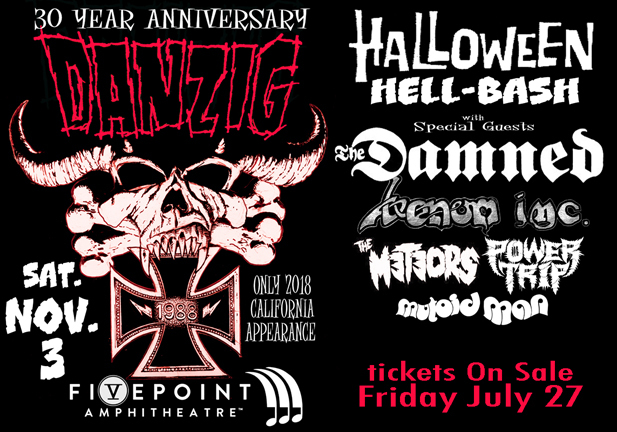 "HALLOWEEN HELL-BASH"
The Full Line-up for the DANZIG 30 Year Anniversary "Halloween Hell-Bash"
at Five Points Amphitheatre in Irvine, CA.on Sat.Nov 3 has been Announced. This will be the 'Only' California DANZIG Live Date for 2018. The METEORS, POWER TRIP & MUTOID MAN. Tickets will go On Sale Friday July 27. Please get your Tickets early, We'll See You There !!! have been added for the US. 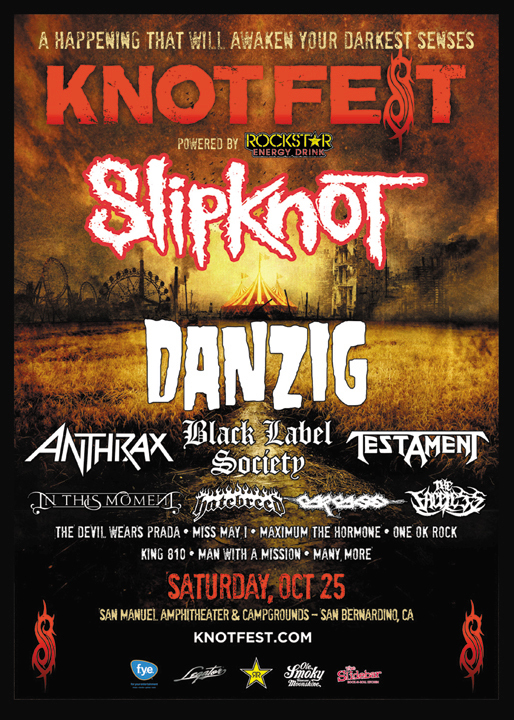 The short Tour will end in Irvine, CA.with a Big Halloween Bash. which we will tell you about at a later date. Happy Halloween!!! Glenn Danzig is the Special Guest The CORE which is on AMC's Horror Channel "Shudder". The 30 Year Anniversary for DANZIG just keeps getting better. Danzig Hidden Lyrics of the Left Hand Volume II will be available this August 2018. 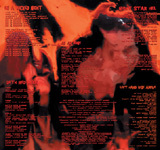 Each Song Lyric is of course accompanied by an Illustration from Incredible Artist¬ÝSimon Bisley. You can Order it at your Local Comic or Indy Record Shop, or from the¬ÝVerotik-World¬ÝEbay store. Another Great Addition to this the Amazing¬Ý30 Year Anniversary for DANZIG. FOR 30 YEAR ANNIVERSARY AND PERFORM "HOW THE GODS KILL"
DANZIG will be performing a Limited Number of Special Shows here in the US & Europe. Headline Performance at the "Brutal Assault" Festival in Jaromer, Czech Republic. To see all the Shows Go to the 'Live Dates' Page. We will keep you Updated as we get info...Stay Tuned!! for Friday 9/22 has been post-poned until Wednesday September 27. Please hold onto your tickets and see you Wednesday 9/27. Finally DANZIG has done a New Music Video for the New "Black Laden Crown" Album. it can also be viewed over at the Nuclear Blastt Channel. Or Any Other World"....."All Hell's Gonna Break Loose!!" These will be the Only 2017 Live Shows for the East Coast. DANZIG have been announced to perform Saturday Sept. 16 at Riotfest 2017 Douglas Park, Chicago, IL. 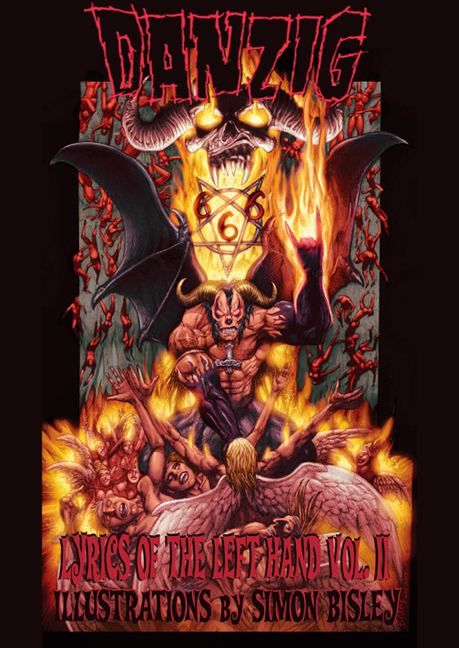 DANZIG will be playing the ground-breaking "DANZIG III How The Gods Kill" Album. The Set will also include Songs from the New Red-Hot "Black Laden Crown" & Classic DANZIG Tracks. DANZIG's New Release "Black Laden Crown" debuted at #20 this week on Billboard's Top 100. It also debuted in Germany at #35 & charted high on other Euro Charts. Thanks to all the DANZIG Devoted & Die-Hards for such Great News. Feels like when "How The Gods Kill" broke Billboards Top 20 exactly 25 years ago!! and at Finland's Provinssi Rock Festival on July 1'. This past week DANZIG was at the KLOS Studios here in LA & appeared on both Joneseyz Jukebox. Now a 2 Day Extravaganza...the Full line-Up & Attractions for Both Days were Revealed and Man it's Crushing. 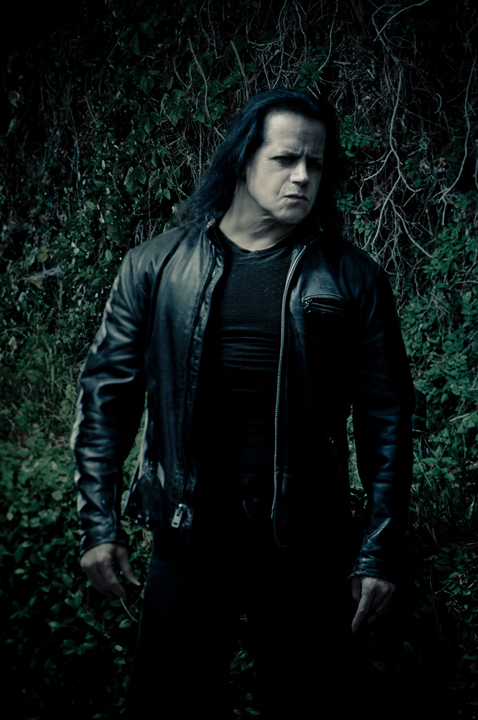 DANZIG will Release his New Album "Black Laden Crown" this May. in 7 years, since 2010's Critically Acclaimed 'Deth Red Sabaoth'. Title will be announced shortly. This June also marks the 25th Anniversary of DANZIG III HOW THE GODS KILL. 1st DANZIG Album Produced by Mr. DANZIG himself. this Summer & will perform many songs from HOW THE GODS KILL. You shouldn't miss it !!! since 2010's Critically Acclaimed 'Deth Red Sabaoth'. 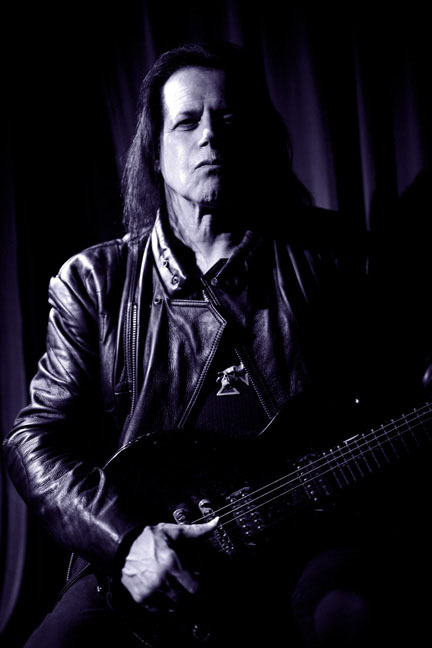 He was joined by Longtime Guitarist Tommy Victor & former drummer & friend Joey Castillo. which DANZIG says is now finished & ready for release. Can't Wait!! to announce the incredible DAVE LOMBARDO as Special Guest Drummer for their Riotfest Reunion Shows in September. Damn...It just keeps getting Better & Better!!! 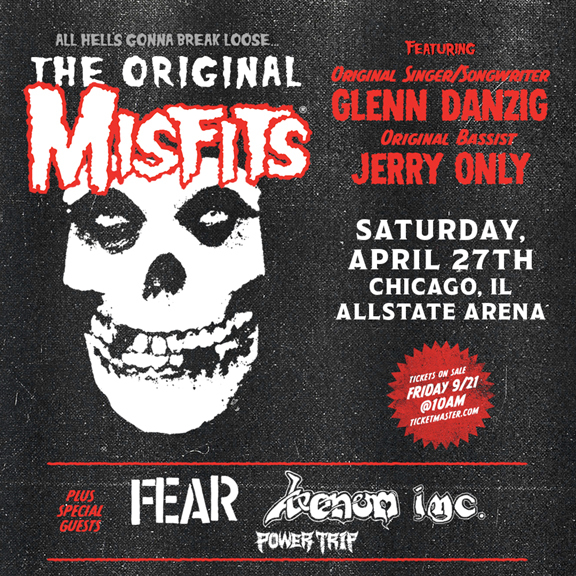 For the first time in 33 years, The Original Misfits will be reuniting and performing at Riot Fest. Denver. Riot Fest & Rodeo.Labor Day Weekend September 2, 3, & 4 National Western Complex. Check out this Way Cool Cover of DANZIG's 'Let It Be Captured' by OMF Kids. 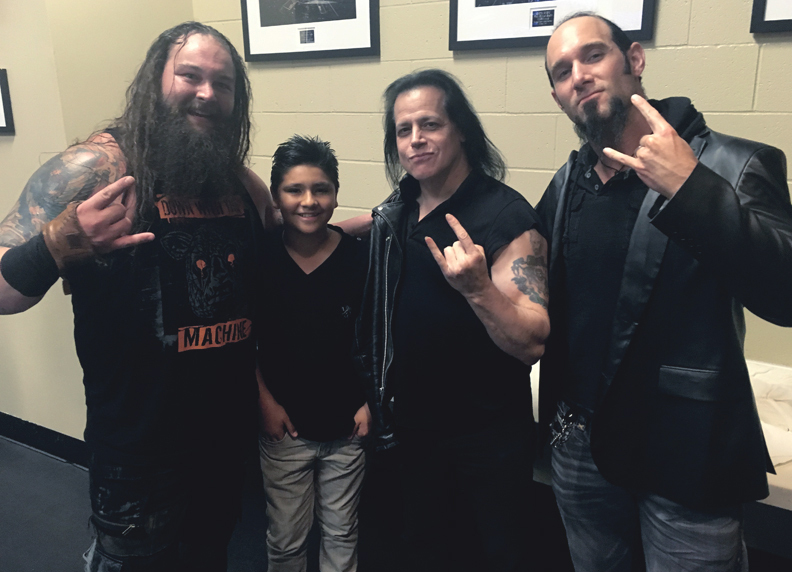 DANZIG saw it & was impressed not only with their version but also the young age of the Kids performing it. Wow...it gets the DANZIG seal of approval!!! has started work on the Next DANZIG Lyric Book. Check out these Wild Illustrations of what's to come in Lyric Book 2 by Danzig & Biz!!! 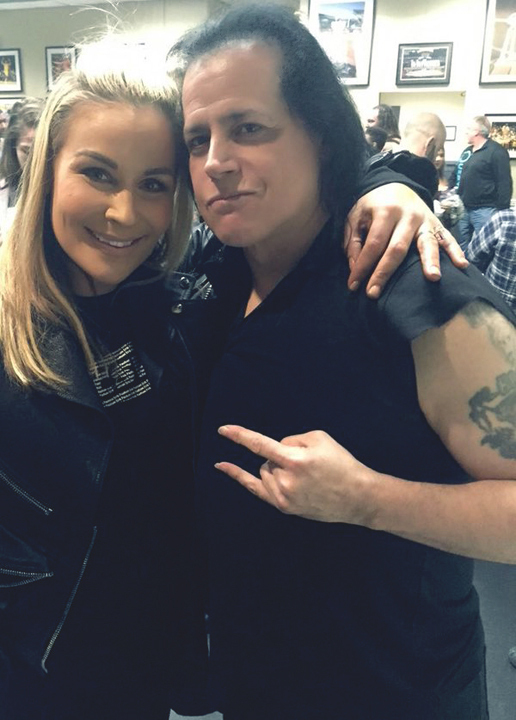 Check out these shots of GLENN DANZIG backstage at WWE Raw here in Los Angeles this past Monday. & then with BRAY WYATT & VIKTOR of the Ascension flashin' the goats. The kid is Big Dave's cousin Lil Vic. 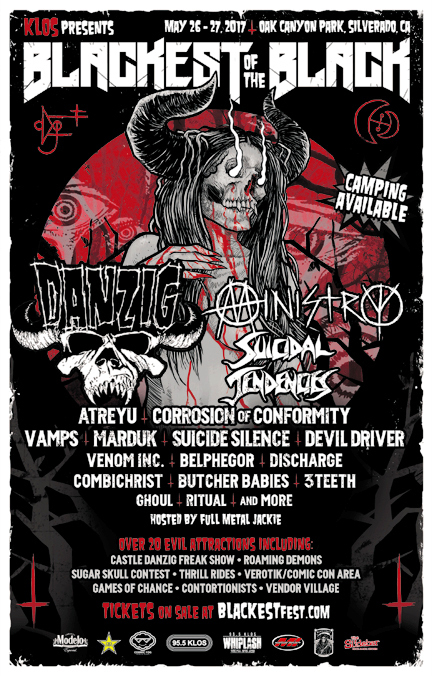 DANZIG will also be heading to Spain to Co-Headline Azkena Rock Festival on Friday June 17. This will be one of DANZIG's only European Appearances for Summer 2016. Thursday, February 11th on IFC. You will not want to miss it "Danzig on Portlandia...Classic"
DANZIG's Long Awaited 'Skeletons' Album is available today November 27.
scheduled for a Late 2016 release. This will be the 1st all new Material by DANZIG since 2010's 'Deth Red Sabaoth'. Danzig in Skullface On Stage Halloween Night in Los Angeles. Sirius XM Radio's Elvis Channel (Channel 19) is having a "Danzig Graceland Takeover" on October 7 at 12:00 noon CT.
DANZIG will play his version of "Let Yourself Go" from the New 'Skeletons' Album & also World Premier one other track from the upcoming 'Danzig Sings Elvis' album, as well as pick some of his favorite Elvis songs to spin on the air. Kayden Kross in Skullface...with a nod Bowie's Pin Ups. Release Date is set for late November 2015. You didn't think that we wouldn't give you all an Advance Peek at this Awesome Cover now did you? This 7" Cover will Only be available in Europe, probably end of September. Devils Angels 45 Cover for US Version will be different. with Fred Armisen & Carrie Brownstein. DANZIG will be a Guest this Upcoming Season. Another reason, along with Voodoo Donuts & Powells Bookstore that I dig Portland, GD". Here are some Photos from the Set with Glenn, Fred & Carrie. auctioning it off with All Proceeds being donated to 'The Humane Society'. 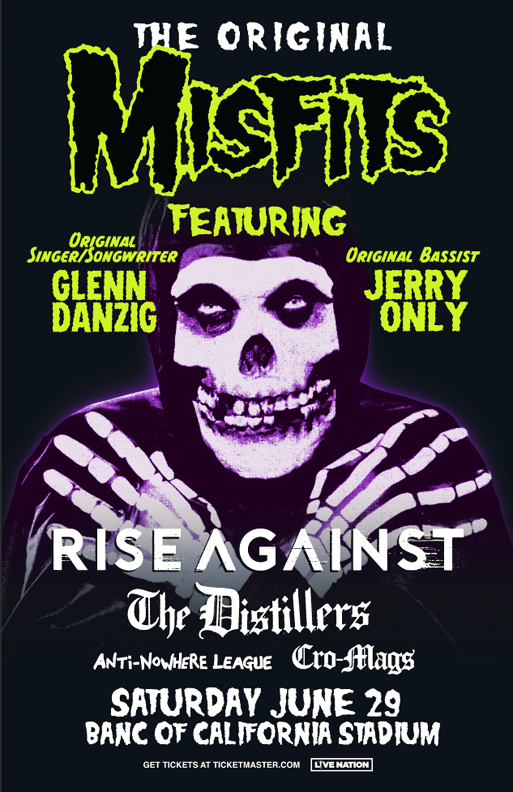 DANZIG 'Blackst Of The Black' Tour Dates for October have be Announced Today. The Tour will start in Phonex on Oct. 3 & will end Oct. 31 Halloween Night in Los Angeles. Veil Of Maya, Prong & Witch Mountain. Bill is Incredible...See you On Tour!! for the New 'Skeletons' Covers Record. More DANZIG News coming later his week. for the Cover of his New 'Skeletons' Covers Record. Release Date is set for Late July/Early August. with the Official Release Date for Europe & US. All Summer Tour Dates have been Posted here, on the Official DANZIG Facebook & on the 7th House Website. Possible 'Blackest of the Black' Fall Tour Dates for East Coast & Middle US are being talked about. Will keep you Updated here in the coming weeks. DANZIG US & Canada Live Dates for all of July have been Announced. Go to the Live Dates page or go to the Official DANZIG Facebook page. The Vimeo Release Date for 'The DANZIG Legacy Special' is this Friday. The Link will be posted here, on the 7th House Website & on the Official DANZIG Facebook page. laying down Tracks for upcoming DANZIG Record tentatively scheduled for Late 2015 or Early 2016 release. 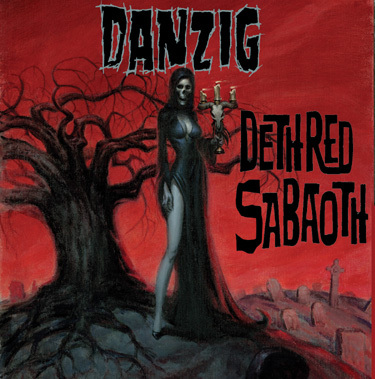 Not to be confused with the 'Covers' record,which is scheduled for a late Spring release, this will be the 1st all new Material by DANZIG since 2010's 'Deth Red Sabaoth'.Here are some Photos. coming at you in 2015.
in a few weeks on Vimeo. We will have Full info here in the coming days...Yes, it is Epic!!! 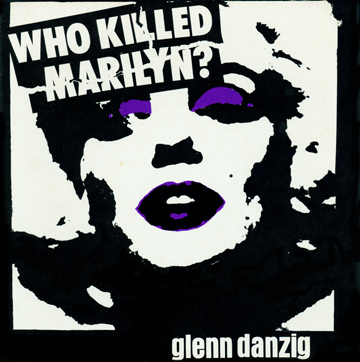 Who Killed Marilyn has not been Reissued since it's Original Release back in the early 80's!!! Black Hell, of course, has never had a Vinyl/CD Release. More Releases will follow in the coming months including his Covers Record. for here in the US. If so, this will be the 1st DANZIG Tour since 2013...2 years ago!! Told you it was a Blitz...Stay Tuned. 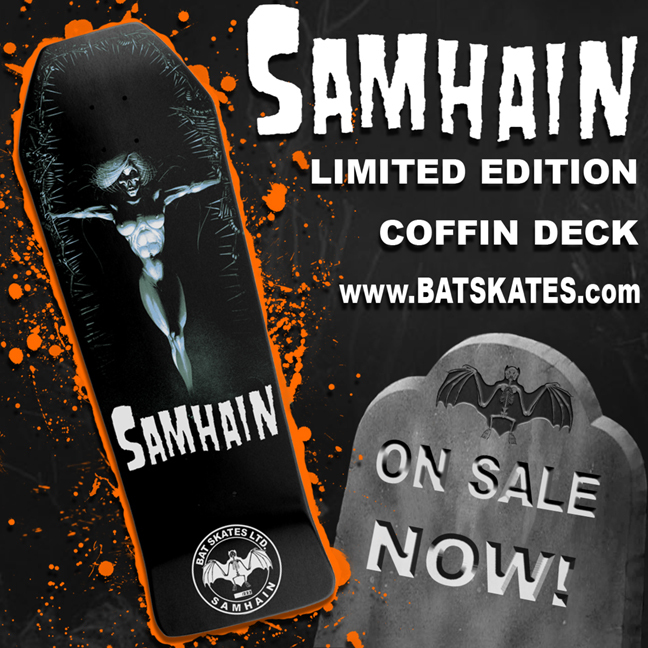 Check out these Limited Edition SAMHAIN Skate Decks from Bat Skates. 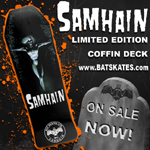 There are only 222 #'d SAMHAIN Decks & Half are already Sold. 1st 'EVER' Official DANZIG Skate Deck for a Total of 666 Decks. more work on his "DANZIG SINGS ELVIS" Record. Release should be late 2015..
on "All Hell" at the end of the Set. And Yes, they played the 'Whole' Initium Record Front to Back!!. Only 5 Shows left, Don't Dare Miss It!!! on October 26th in Austin, Tx. 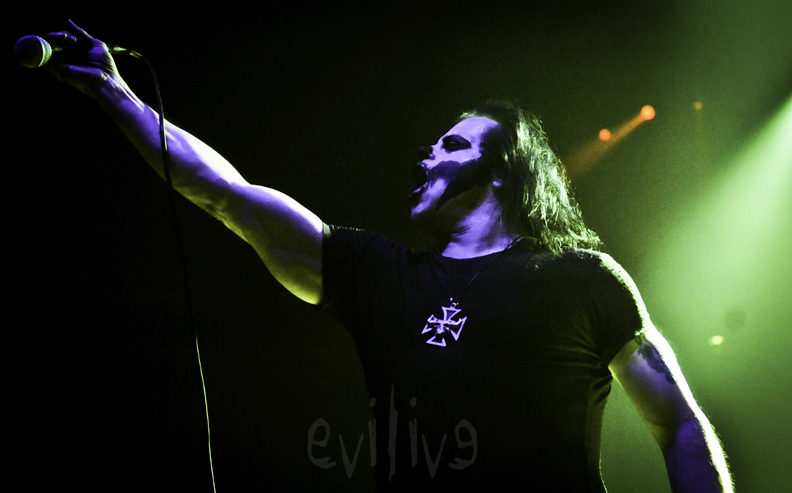 This will be the last DANZIG Live show in the US for 2014. Exclusive SAMHAIN Shows have been announced for East Coast -Phila.PA.,Wash.DC & NYC. apart from the Chicago RIOTFEST Performance. in San Bernadino, Ca. This will be DANZIG's Only SoCal Performance for 2014. 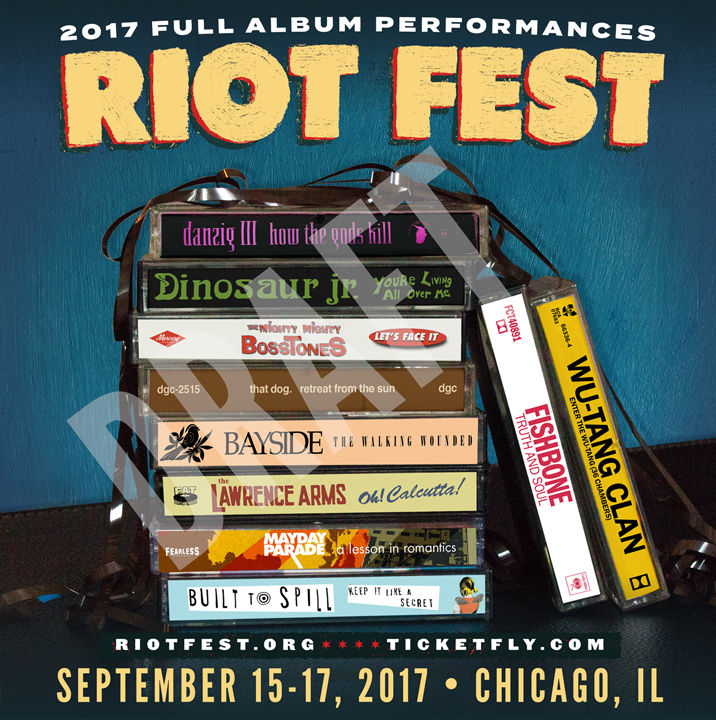 Album at Riotfest in Chicago this September as part of Riotfest's"10 Years-10 Essential Albums". along with Slayer, Janes Addiction & 7 Others who will also be Peforming their own Essntial Albums. This Year also marks the 30 Year Anniversary of the release of SAMHAIN 'INITIUM'. INCREDIBLE!!! at Riotfest in Chicago this September. More as we get it...Stay Tuned!!! May 28 in Helsinki, Finland & May 30 in Stockholm, Sweden. These will most likely to be DANZIG's Only Overseas Shows. 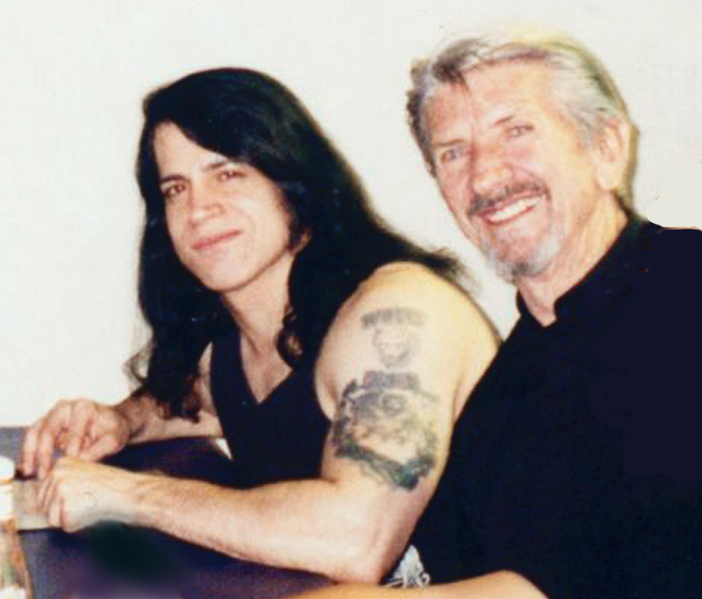 We can Finally confirm that all Post work on the DANZIG Legacy TV Special in now Complete. Director Mark Brooks (Metalacolypse) & Danzig have finished all editing & Post EFX. Here's a Shot from the End Sequence...We think you'll agree, it came out Epic!!! Fangs to all who attended the Tapings, wait until you see the final Product, WOW!!! can get a little Sneek Peek at it. Enjoy you Demon MF's!! The 'Send-Off' it Really Deserved. The Venue will Be missed by All!! came out during the DANZIG Set for a Duet with Glenn. The DANZIG 25th Anniversary Dates now listed on the Live Dates section will be the FINAL DATES. for this Tour...No More will be Added. of All New Songs, which He has already started. He has No Plans for Touring Anytime Soon. in Chicago, Ill. in Sept. on Friday the 13th. to Chi Town just for this Date, Hell, couldn't miss Chicago!!! on my version of The Classic Lee Hazlewood/Nancy Sinatra song 'Some Velvet Morning'. 1st Concert experience at 14 was there for Bowie's 'Diamond Dogs' Tour. She revealed it was That Show that started her on her Musical Quest & is Excited to be able to come Full Circle and Perform there before it is Gone Forever. Yep...Gonna give this Classic & Historic Venue the Send-Off it Truly Deserves. LA we'll See You There!!! not long after, rumor has it, to make way for a Harry Potter Attraction???!!!
" 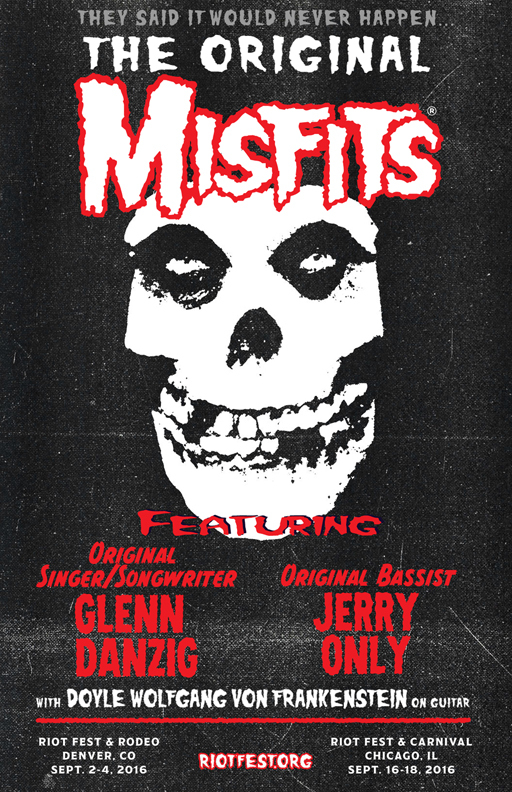 DANZIG has been doing Shows at Universal Amphitheatre since the early 90's & this upcoming Show on Aug.31st will be my 7th & sadly, Final time Performing in this Great Venue. As Many of you will agree, it's an Great Concert Hall with a Nice Pit & not a Bad Seat in the House. 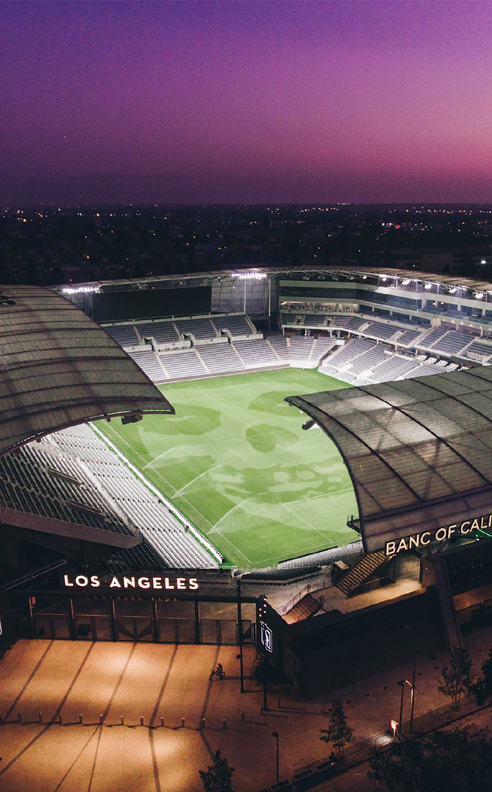 It's probably my Favorite Place to play in California so i'm gonna miss it!! 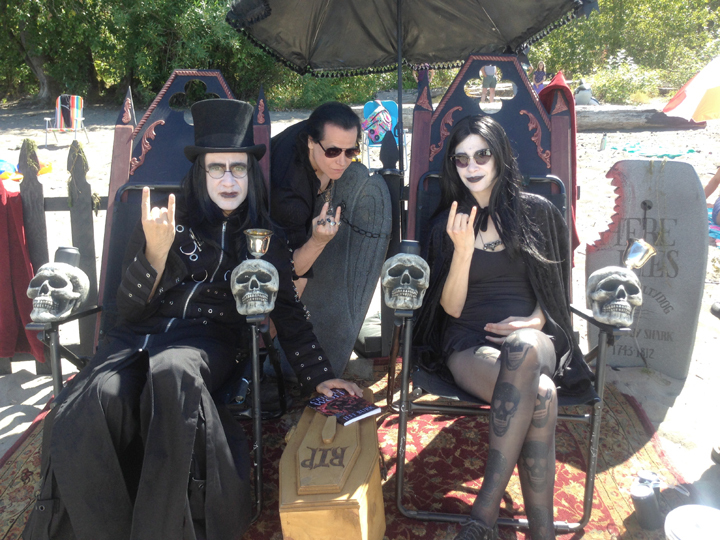 Final DANZIG Show at Universal City, so Stay Tuned!!! Special Club Gig in London at the Garage on June 17 th . "As a Thank You to all our London Fans, on this momentous DANZIG 25th Anniversary Tour, we will be doing a special club show at the Garageon Monday, June 17 for the measly sum of £6.66. While over the years DANZIG has occasionally played a Smaller Club Show for the Fans in LA and other cities in the US at an extremely low ticket price, I've never done one here in the UK. Lucky UK Fans will get to see DANZIG in a more personal setting and most assuredly have an Incredible Night to Remember." Check the Tour Dates Page for all info. on June 14 at COPENHELL Festival in Denmark. 2 more Euopean Live Dates have been added for Vienna & Zurich. Revolver's 2013 Golden Gods Show along with Metallica & others on May 2. Lucky Fans with tickets will get to see DANZIG in a Rare Live TV Performance. will be Performing this Year at Germany's Wacken Open Air Festival. Of course you knew DANZIG 25th Ann.would have to make a stop in Deutschland !!!. German Fans...Get Ready...It's Coming Down!!! DANZIG's 25th Year Anniversary Live Dates for Scandinavia have been Announced. Go to the Tour Dates Page to see all Dates so far, More to be Announced Soon!!! 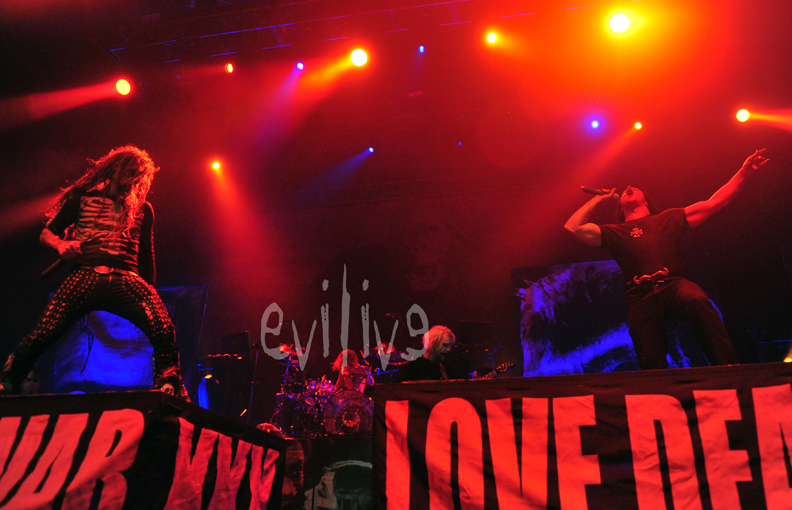 Live Together On Stage At Metaltown Festival Sweden & Oslo, Norway!!!. More Than Classic & Not To Be Missed!!! 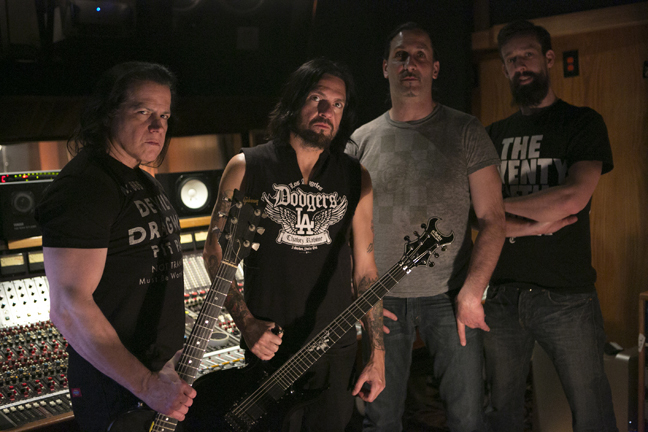 DANZIG continues to finalize recording on his Long Awaited 'Covers Album'. in his Entire Career, the other was, of course,with Mellissa Auf De Mar a few years ago. Fans will have to Wait to hear it as Release Date for the New COVERS Album is sometime this Fall. 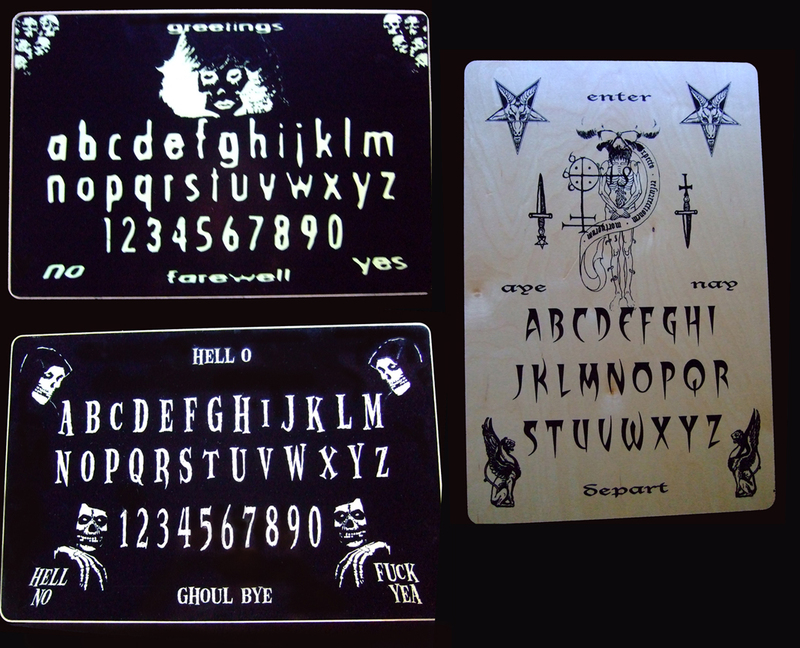 Response to the Limited Edition 'DANZIG' Spirit/Ouija Boards has been Wild. Sets 191-210 will up next as 20 sets are listed Wednsdays on the 'verotik-world' Ebay store. Once they're Gone ...That's It!!! not some crappy particle board or cardboard. Each Board is 12"x18". for the more serious/traditional Practioner. 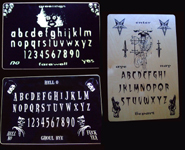 Very Limited Edition of 222 SetsÔø�that's 666 Boards Total by Evilive & Lethal Amounts. 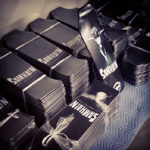 Each Board is #'d & then Signed by The Man himself GLENN DANZIG. There will be a Limit of 2 sets per Customer. 1st come...1st Serve. They are Available Now on on the 'verotik-world' ebay store & here on the DANZIG site.. The 'DANZIG LEGACY' TV Taping will be happening on Tues.May 29. It will be Taped in Glendale Calif. with Mark Brooks of Metalacolypse Directing. There will be 2 Seperate Tapings with Very Limited Seating available at each one. Different Segments Shot at each Taping. 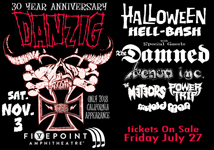 You must have a Ticket to the Verizon/Irvine DANZIG LEGACY Show to be eligible. here on the DANZIG Site, on the 7th House & on the Official DANZIG Facebook. with the 'DANZIG LEGACY' Show on May 26 Memorial Day Weekend. Some of the Greatest & Most Memorable DANZIG Live Performances were at Irvine Meadows !!! There will be a Limited Number of Tickets available for Only $13.13. You heard right 13-13...Don't wanna Mss this One,Fans 'Still' talk about the DANZIG Irvine Shows!!! at the Legendary BONAROO Festival Event on June 9 !!! Official DANZIG Facebook.You WIL NOT want to Miss it!!!. These are the Final 'Legacy' Performances scheduled. By now, some DANZIG Fans have already heard the Exciting News about the Upcoming. to be Directed by Mark Brooks (Adult Swim's Metaldcalypse}. More on this as we get it. Vinyl Fans should look out for the DANZIG JU JU BONE 7" single just released in Europe. Won't last long as it's Limited Edition. has had to Cancel their Tour of South America until a later time. 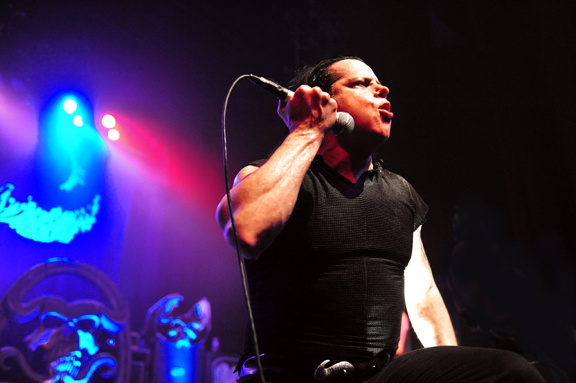 DANZIG regret any inconvenience to their fans and promise to return as soon as possible." DANZIG has a Brand New Song in the New 'HANGOVER 2' Sequel . 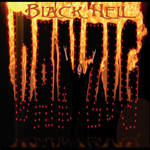 DANZIG's version of the song he wrote for JOHNNY Cash '13'..
DANZIG agreed & the result is the lead track "Black Hell". 'HANGOVER 2' opens in theatres Worldwide Memorial Day Weekend. 3 New Live Dates have been added for Belgium, Norway & Denmark. Go to the Tour Dates page for all info. DANZIG Live Dates have been Posted for Novarock in Austria,GetawayRock in Sweden. DANZIG's first trip back to Milan, Italy since How The Gods Kill Tour in '92. WOW!! South Amercan DANZIG Live Dates for July have also been posted. DANZIG Live Dates have been Posted for both Rock Am Ring & Rock Am Park in June. DANZIG will be Headlining one of the Stages at this Prestigious German Festival. Tour Dates Page. Except for NM they are all Cities missed on Last Fall's Tour. Joining DANZIG will be Devil Driver & 2Cents. South American Live Dates for July will be Posted shortly. 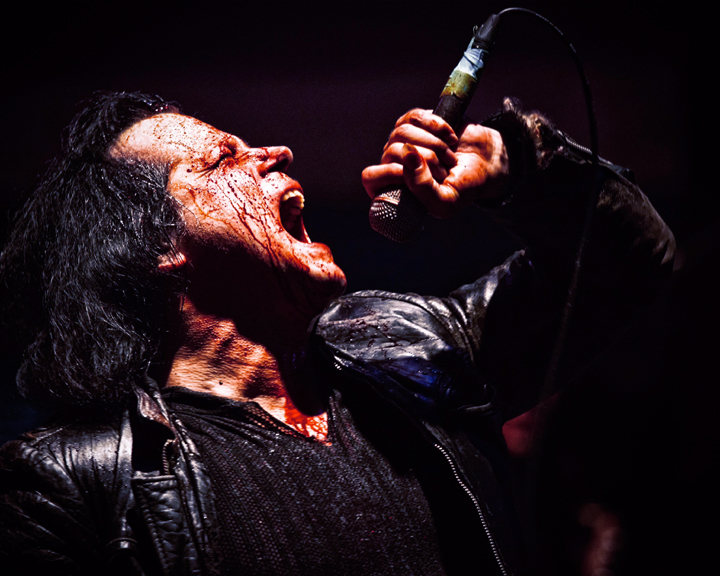 DANZIG has just been Nominated for 'Best Vocalist' by Revolver Mag's Golden Gods Awards.